Going beyond the capabilities of average wireless speakers with Onkyo’s VC-FLX1 Smart Speaker. Amazon Alexa Voice Service answers questions, manages household tasks, and plays music hands-free. With Alexa enabled devices connected, you can control thermostats, lighting, and much more by voice, giving you greater control of your environment. An integrated webcam and built-in sensors partnered with Toshiba Smart Home Services, a cloud-based smart home management solution, and the Toshiba Smart Home App, a free control app for iPhone, iPad, and Android devices, allow you to monitor a room or control the climate with preconfigured smart devices connected. You’ll receive phone alerts if there are any changes. Smart, flexible, and easy to use, Onkyo’s VC-FLX1 Smart Speaker puts you in control of your connected home. 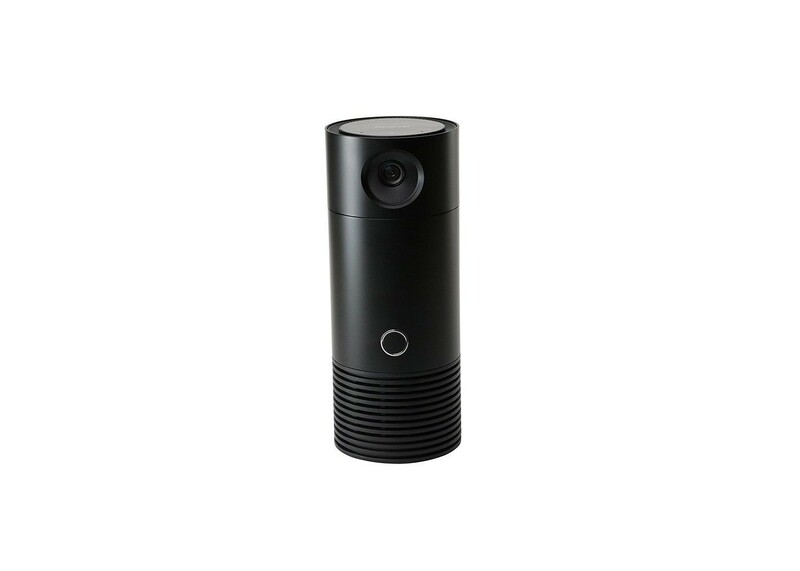 Smart Speaker VC-FLX1 has a built-in HD webcam and a variety of sensors that interface with the Toshiba Smart Home Services cloud-based home management solution (learn more at www.TSB-SmartHome.com) and free companion Toshiba Smart Home App for iPhone, iPad, and Android devices. Use the camera and app to monitor activity in the room, store recorded footage in the associated cloud service, and manage the home climate remotely when configured with compatible smart control devices such as smart thermostats. A camera lens cover is included for privacy. Ask Smart Speaker VC-FLX1 to control connected Alexa enabled lighting devices, thermostats, and other compatible smart home solutions by voice. Alexa boasts a deep library of skills to enable voice control of smart devices from the world's leading brands. VC-FLX1 also supports Zigbee and Z-Wave protocols. With built-in access to almost limitless streaming music and internet radio from leading services such as Pandora, you can enjoy your favorite albums and playlists or discover new music just by asking. Raise and lower volume, skip tracks, and change music all by voice.